I just finished up racing at the U23 World Championships in the Czech Republic. 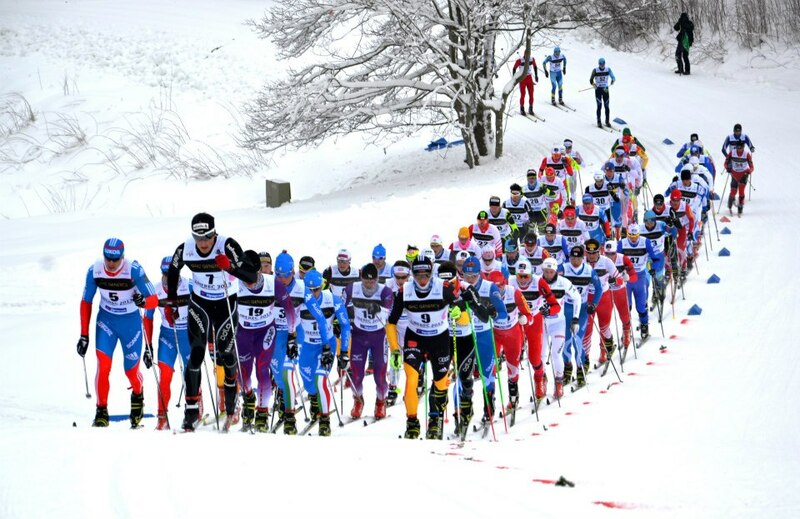 I’d never been to the Czech Republic, and it was awesome to have the opportunity to ski race in a new country. From our pre-camp in Ramsau, Austria, we made the 8 hour drive to Liberec (pronounced Liberetz), the host city for the event. When we first arrived we were a bit bummed to find only about 2 kilometers of available skiing. 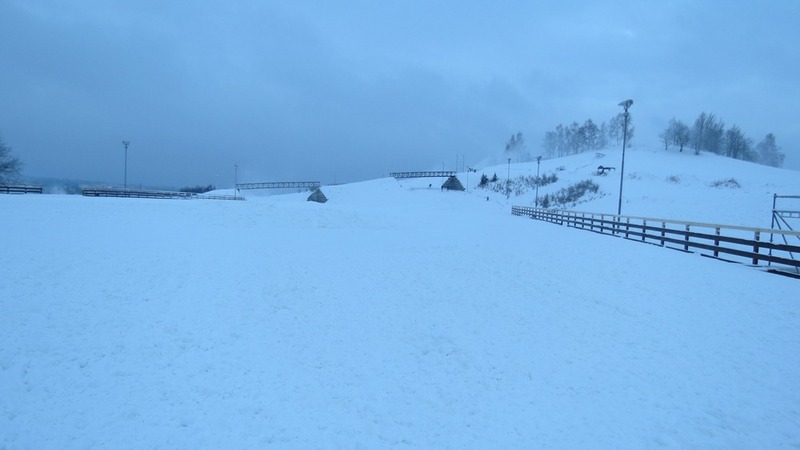 Fortunately, the skiing improved throughout the week as they made additional snow and extended the loop to 5 kilometers. Liberec was cloudy and gray for most of the time we were there, but the venue was awesome and they did a great job with hosting the championships. The competition kicked off for me with a 1.6k classic sprint race. The course was pretty long for a sprint with lots of terrain. The hills were definitely bigger than anything we’ve raced in the US this year. With the length of the course, I think it was important to stay relaxed and powerful early on and be able to power into the finish. 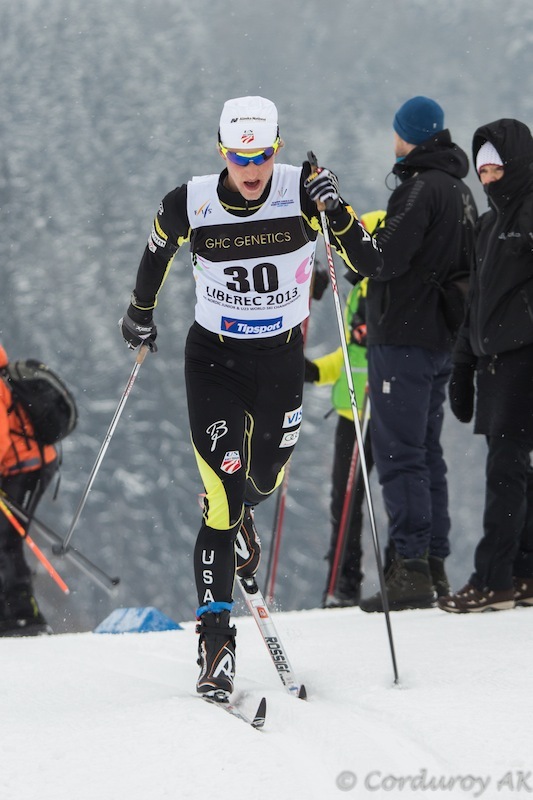 I unfortunately didn’t follow my own advice; I knew the pace I needed to ski in order to qualify, and was on track until the last 45 seconds when the wheels started to come off. I ended up in 34th place, about two seconds out of qualifying. You need to be on form AND ski the course well to be in the mix at this level of competition. 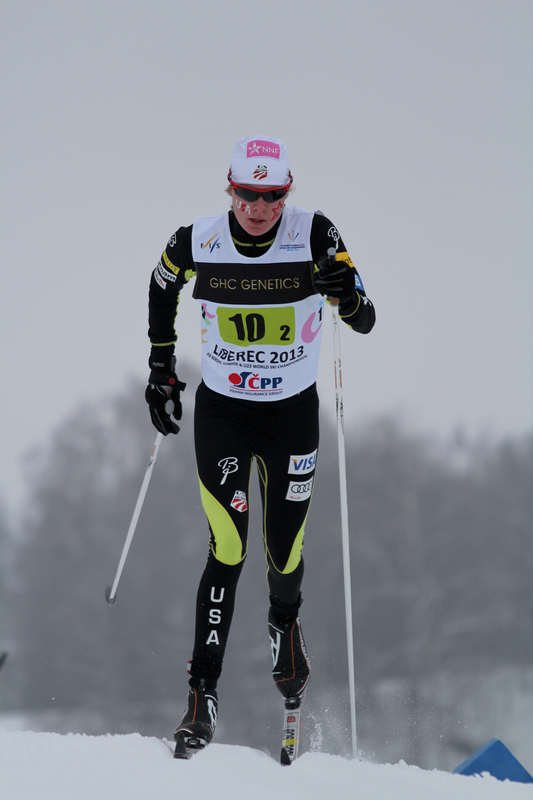 The next race for me was the 15k skate individual start event. I’ve struggled with distance racing this year, and while I saw some signs of improvement in the race, I still wasn’t happy with the end result. Skate race: Catching a ride with Sam Tarling and a Swede. Still not a great race, but starting to feel better. The day before the 30k pursuit race, both of my roommates here, Sam Tarling and David Norris, came down with a really nasty flu. Sam ended up needing an IV drip to stabilize things. On race morning I still felt healthy, but had no idea how I’d feel racing. I really wanted to have a good race for those guys if I could. They’re some of my best friends, and I know they would have loved the opportunity to race. The race went out pretty easily up front, but the pack was churning as people fought for position. I ended up towards the back, at times in 60th place. There were some bad bottlenecks on the climbs and we came to a complete stop in several places. I should have been more aggressive early on and gotten up front, since stop-and-sprint yoyo effect was much more taxing than the consistent pace the leaders were setting. I lost the pack on the fourth classic lap. After the transition to skating, I started feeling much better and started picking people off. The last lap, I put the hammer down and passed a group of racers, which is always a good way to end a race. 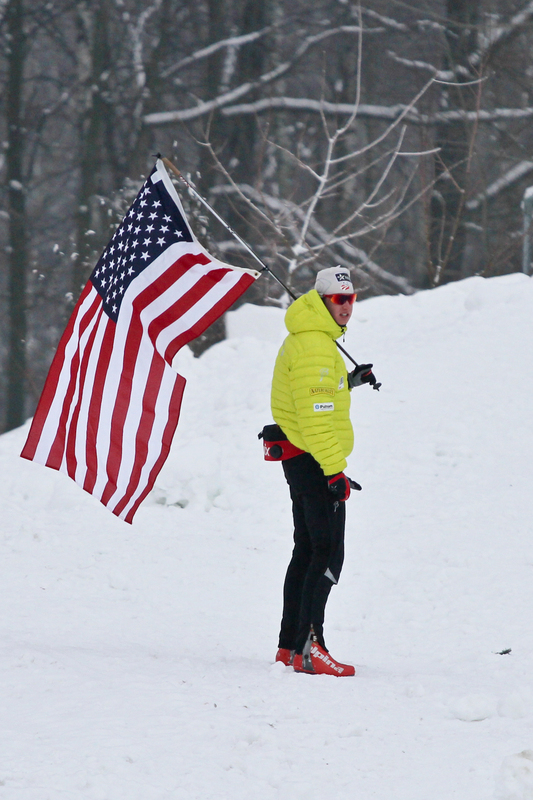 I skied the 32nd fastest skate leg, and ended up in 40th place overall. I’m still looking for better results, but I feel like I’ve taken a definite step in the right direction. 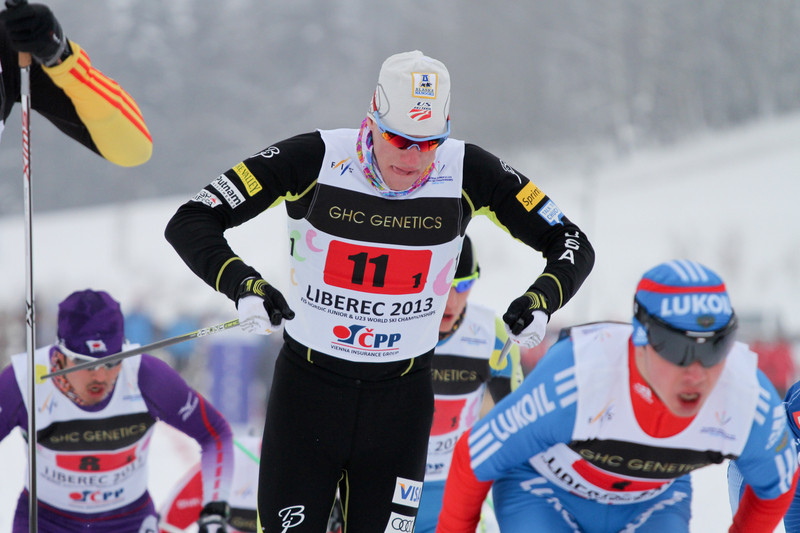 U23 30-kilometer skiathlon. The accordion effect was extreme. The course narrowed to two tracks at the top of the climb shown in this photo. As result, most of the pack came to a stop on this hill, every lap. The Junior relays were held on the last day of the championships. 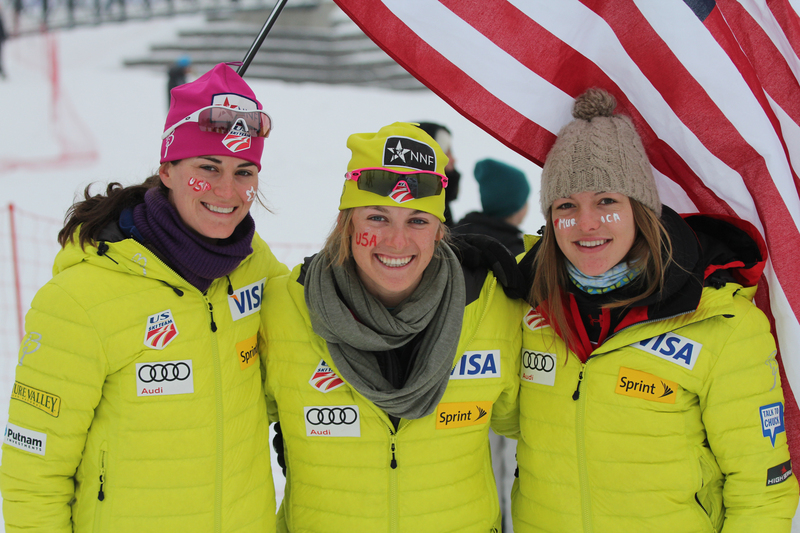 They unfortunately don’t host a relay event for the U23’s, but it was fun to get out and cheer on my younger teammates. I was even able to snap some shots during the races! Logan Hanneman hammering the start. 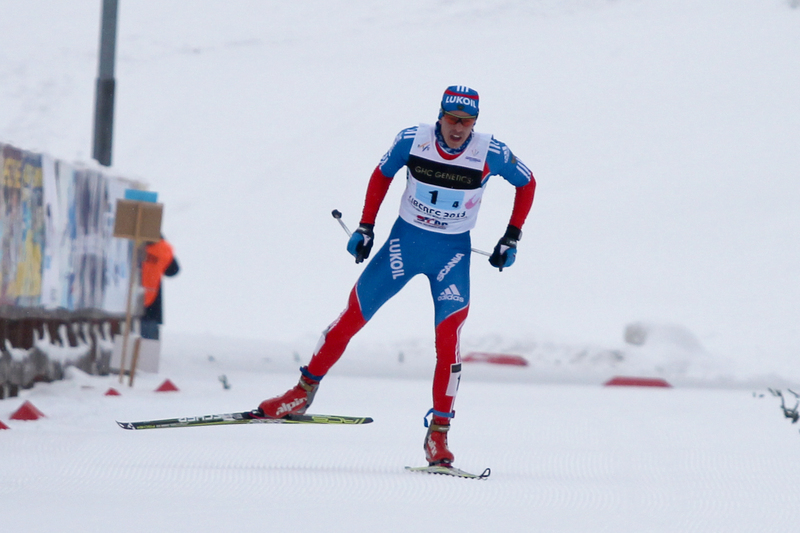 The Russian boys were skiing big and skied away from the field in the relay. It was a great Championship! 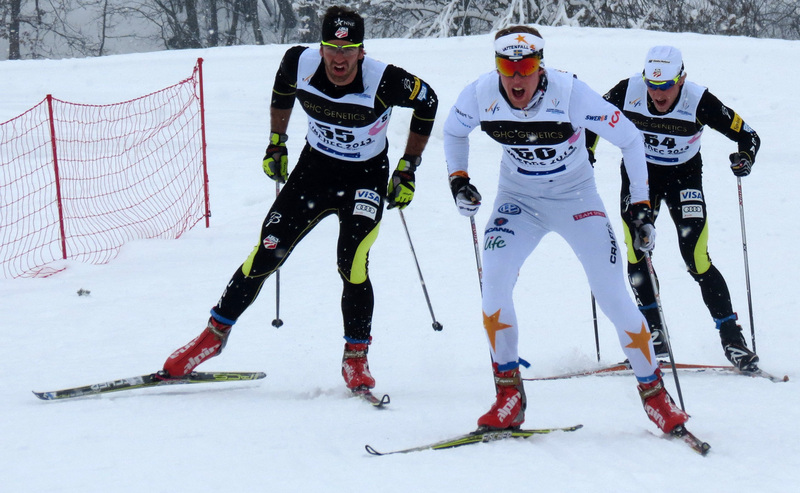 One of the paradoxes of ski racing is that when things are going well, racing feels easy. It feels good to push, and when you finish, you feel like you could race again and again. Last year, I finished almost every race feeling this way. I remember finishing the 50k at spring series feeling ready to ski another 50k, no problem. So far this year, racing hasn’t been easy. In fact, at times it’s been incredibly hard, and generally I’ve felt a negative response when I try to push. 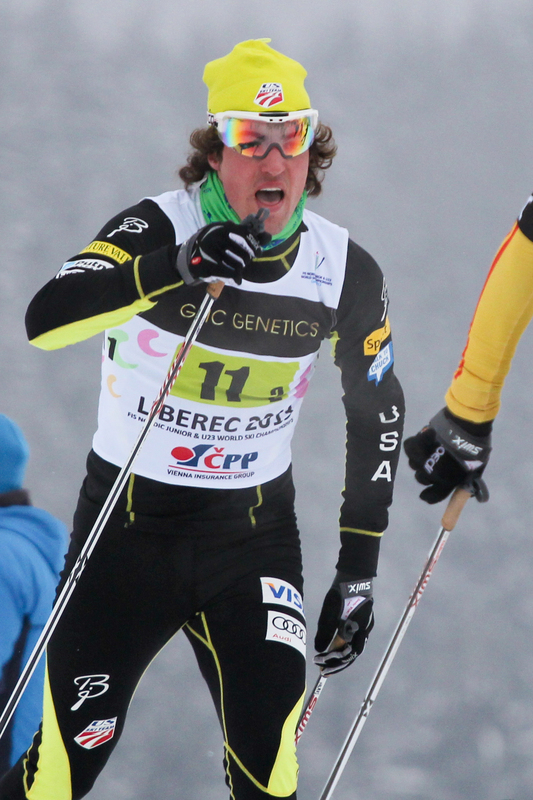 For instance, the 30k at US Nationals was incredibly painful and probably was one of the hardest races of my life. I finished 28th. Last year, the race felt easy, and I finished 3rd. I made a lot of changes this year, increasing training volume, adding speed, and incorporating much more strength work. It takes time to adapt to these changes, and knowing that has helped me get through the tough races. I know I’ve trained better than ever before, and at some point, I’ll enjoy the benefit of that training. The skate leg of the pursuit at U23’s was the first time since LAST YEAR that I actually felt a positive response to pushing. At times, it even felt easy to push. I’m hopeful that this means my form might finally be coming around! The best racers in the world don’t just make racing look easy. They actually make it easy. Technique and fitness combine to make them move more efficiently at race speed than anyone else in the world. Hopefully this represents a step in that direction.